Are you ready for some Nail Magic? 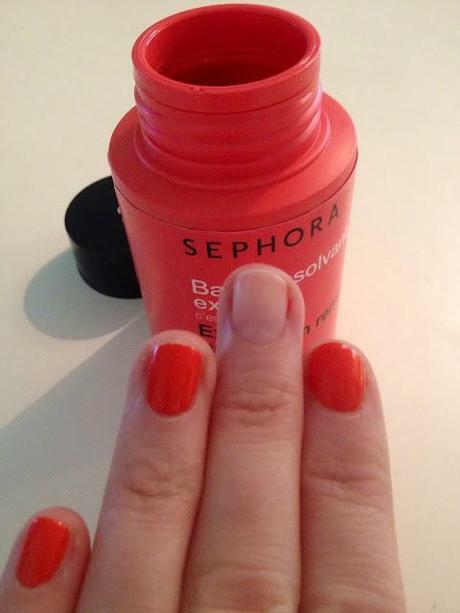 Removing your nail polish shall never be the same again after reading this post! Now I don't know about you but when it comes to removing my own nail polish properly, I hate it for many reasons as follows.....the remover takes so long to remove all the nail colour, all removers I have used dry out my nail bed, they always leave nail color down the sides of the nail, they smear the color all over the skin leaving you with stained fingers and they smell! In fact I just peel it off then use a nail polish remover to work on whats left as its just easier. Now I may be the last to know about this product as I have seen it before in store but never took much notice of it until they switched it next to the OPI stand, where I can usually be found. I always thought they were those useless soaked remover cotton pads that do absolutely nothing until I inspected it further. I recently read about Bourjois making a version of this which made me take a closer look. WOW! It really is terrific like it says on the bottle. 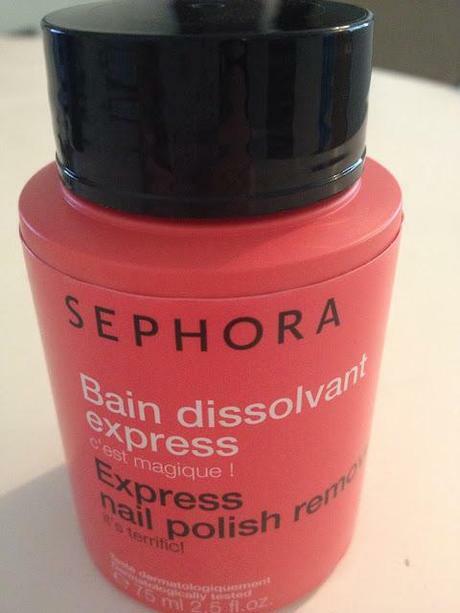 How it Works:This nail polish remover works in seconds! It is dermatologically tested and formulated without acetone or parabens. It contains a foam sponge (as shown below) soaked in remover. You dip your finger into the foam and in 1 minute flat, no trace of nail polish, even the most hard wearing ones, like glitter polishes that we all know are the most difficult to remove! "Magic in a Bottle"! The thing I love about this is that there is no horrible, harsh chemical smell as once it has dried on the nail its smells so nice, like a scented hand cream. It leaves the nail feeling nourished and does not dry out the nail or surrounding skin. Its great for when you have made a mistake when painting your nails, as you don't have to worry about smudging the rest of your nails by having to get a cotton pad to remove the mess you made, just dip in the finger you messed up and start again! Simple! 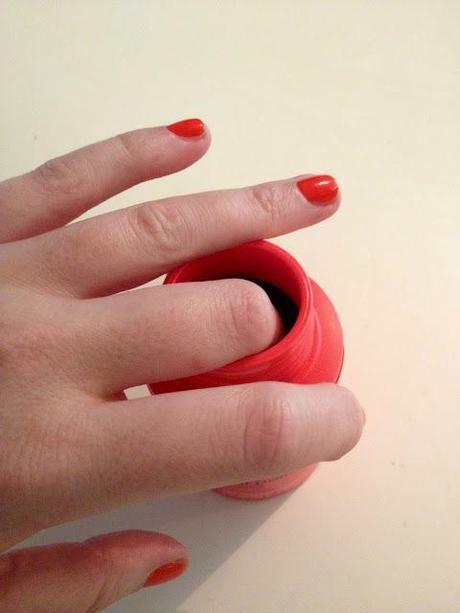 This product is just so terrific, easy to use and makes prepping your own nails a joy! 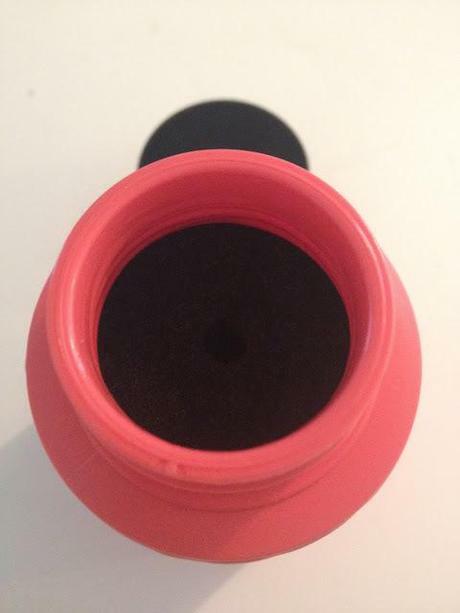 Its a very portable size so it can travel with you wherever you go. This shall definitely be a staple in my nail collection from now and recommend this to absolutely everyone. It is so affordable but ultimately takes good care of your nails and makes life just that little bit easier for us girls wanting to have the perfect manicure. Available from your local Sephora and here, priced at €7.90. Get your manicured hands on one of these and say 'Au Revoir' to the pads once and for all! Let me know your thoughts!